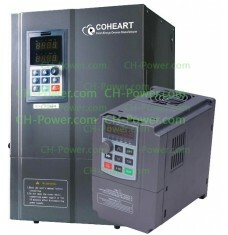 CoHeart solar pump inverters (solar pump VFD drive) have been developed since 2012 and now we proudly launch our 5th generation 3 phase & single phase Solar pump inverters also called solar VFD drive with Real MPPT, to run normal AC pumps only by solar panels! With Flexible-setting design and more smart automatic MPPT , the solar inverters are ideal choose for any 1 or 3Phase AC pumps and Cost-effective for deep well pumping, farm irrigation, water supply run by solar sunshine power directly! GPRS monitoring & IP54 cabinet are optional on request ! 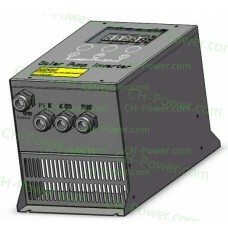 Grid tied or on Grid solar pump inverter CGP5K5H 7HP/5.5KW 3 Phase 380Vac, or known as solar pump co.. This solar pump inverter CP5K5H 7HP/5.5KW 3 Phase 380Vac, or known as solar pump controller, solar d..
5th generation Solar Pump Inverter 5HP/3.7KW 3Phase 380Vac, or called solar VFD MPPT pumping inverte.. Solar pumping system VFD controller 7HP/5.5KW 3Phase 380Vac, or called solar VFD MPPT pumping i..
5hp solar water pump price of VFD inverter 5HP/3.7KW 3Phase 220Vac, or called solar VFD MPPT pumping.. 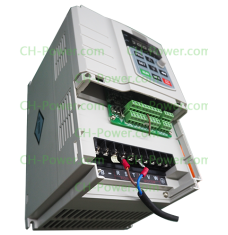 Solar pump inverter VFD controller 1HP/750W 3Phase 220Vac, or called solar VFD MPPT pumpin.. 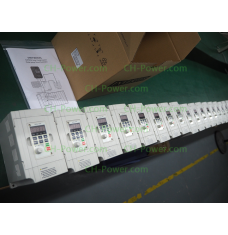 Solar pump inverter VFD controller 3HP/2.2KW 3Phase 220Vac, or called solar VFD MPPT pumpi.. 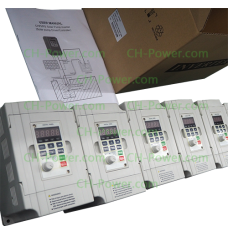 Solar pumping system VFD controller 3HP/2.2KW 3Phase 380Vac, or called solar VFD MPPT pump.. 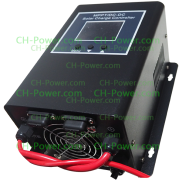 This solar pump inverter CP3K7H 5HP/3.7KW 3 Phase 380Vac, or known as solar pump controller, solar d..
5G IP65 Solar Pump Inverter CP7K5H 10HP/7.5KW 3Phase 380Vac, or called solar MPPT pumping contr.. Solar Pumping System inverter CP2K2H 3HP/2.2KW 3 Phase 380Vac (3phase 220Vac is another model C.. Solar agricultural water pumping system VFD inverter 2HP/1.5KW 3Phase 380Vac, or called solar V..